Editor’s note: Today’s post comes from Charles Hoke, Chief Development Officer of Defy Ventures, a nonprofit that helps current and formerly incarcerated people in 25 U.S. correctional facilities launch new careers. Defy Ventures uses Chromebooks, G Suite and Pixel phones to help people with criminal histories learn about entrepreneurship and research business opportunities. The prospects for work are bleak for incarcerated people, even when they're released from prison. Research from the American Civil Liberties Union shows that 65 percent of formerly incarcerated individuals are still unemployed one year after their release. But they have the talent to make their way in the outside world, legitimately—what we call “transforming the hustle.” At Defy Ventures, we help these Entrepreneurs-in-Training (EITs) make a new start for themselves by starting their own businesses. We work with them while they’re in prison, and continue to help after their release. To help EITs develop their business skills, we connect them with technology so they can search online for business opportunities, watch training videos, and communicate with mentors. Chromebooks and G Suite have become key tools in helping EITs realize their dreams. Most people leaving prison don’t have computers. We used to give donated and refurbished laptops to EITs, or invite them to our office to use our computers—but the laptops and software were often out of date. That’s when we turned to Chromebooks, which auto-updates and always has the latest software, product features and virus protection. Thanks to a collaboration with Google since December 2014, we’re now giving EITs Chromebooks, G Suite accounts and Pixel phones—all of which they get to keep after graduating from the program. The speed and simplicity of Chromebooks, as well as their reasonable cost, made them perfect for us. Many EITs don’t have a lot of computer knowledge, but it doesn’t take them long to figure out how to use Chromebooks and G Suite. The fast learning curve saves time for our program staff, who would normally have to answer EITs’ hardware and software questions, since we don’t have an IT department. Equipped with Chromebooks, EITs can watch 250 hours of Defy Ventures video tutorials on entrepreneurship, employment readiness, and personal development. Chromebooks also connect EITs to other resources, like job boards, housing lists, and even where to find clothes to wear to interviews. Matching EITs to mentors is an important part of our service. We used to pair them using paper documents and spreadsheets. By placing mentor and EIT information into Google Forms, we streamlined the process so staff can make matches 50 percent faster than before. Our staff is also using G Suite tools like Gmail, Docs and Sheets to collaborate on work projects. Google technology also helps us maximize our resources. Previously, with only a few borrowed or refurbished laptops, plus our office computers, we could only serve about 30 EITs at a time. Now that EITs have Chromebooks and G Suite, they can work independently, and we can serve as many as 250 EITs at once. The new device setup is quick and easy. 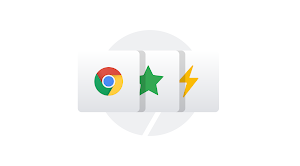 We created a 30-minute training course called “Getting to Know your Google Chromebook,” which walks EITs through device setup and the basics of using G Suite. After EITs have completed the course, our program managers follow up with each one to answer any remaining questions they have. We believe that with Chromebooks and G Suite, we’ll be able to replicate our program in more cities. And by offering EITs better technology, we believe we can improve retention rates and reduce their time to employment or to business launch. We’ve given away 200 Chromebooks to date, and we expect to give away about 1,500 more over the next two years. 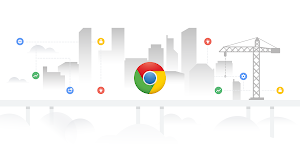 While these are long-term impacts, EITs have told us how Chromebooks and G Suite are changing their lives right now. “With this new Chromebook and Pixel phone, I am now able to manage my company seamlessly and more efficiently,” says EIT Aaron Owens, who founded Florida marketing and branding company ArkBM. Formerly incarcerated people have paid their debt to society, but they can remain in invisible handcuffs because of a lack of opportunities. I love seeing the smiles on EITs’ faces and hearing the giddiness in their voices when they realize how much easier it is to pursue their personal goals with the use of technology. And I'm glad we've found the right fit with Chromebooks and G Suite.